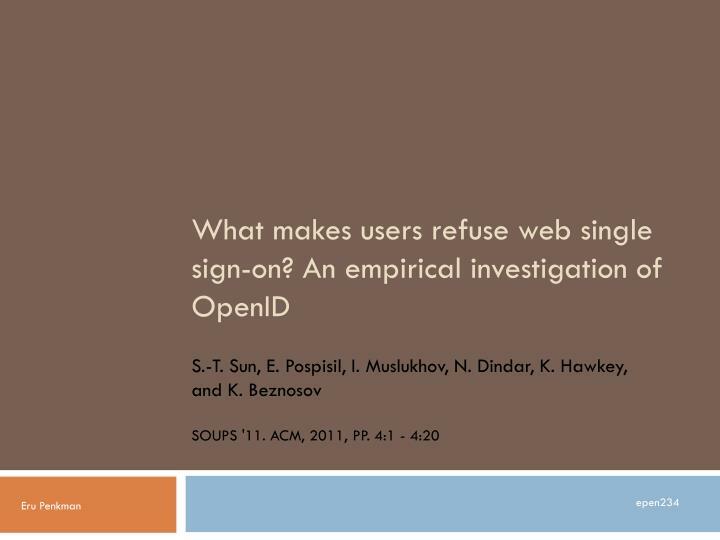 What makes users refuse web single sign-on? 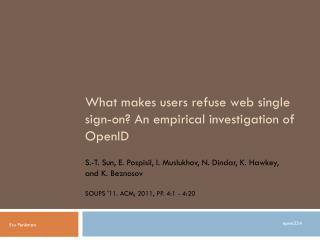 An empirical investigation of OpenID S.-T. Sun, E. Pospisil , I. Muslukhov , N. Dindar , K. Hawkey , and K. Beznosov SOUPS '11. ACM, 2011, pp. 4:1 - 4:20. Eru Penkman. epen234 . 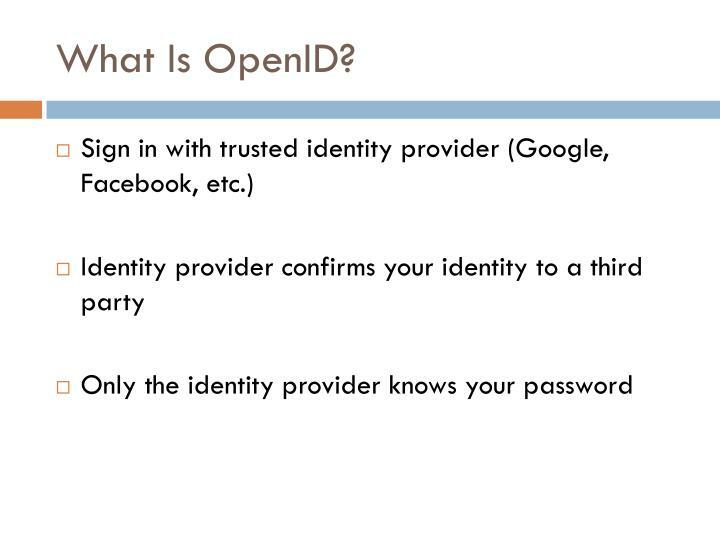 What Is OpenID ?. 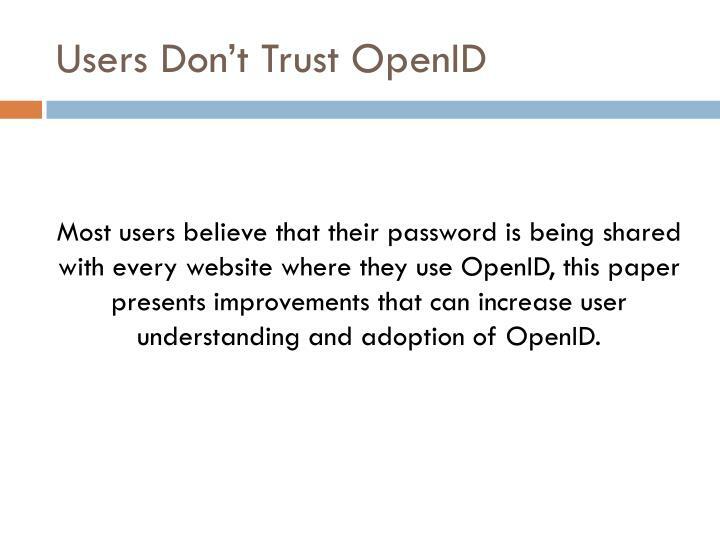 Most users believe that their password is being shared with every website where they use OpenID, this paper presents improvements that can increase user understanding and adoption of OpenID. 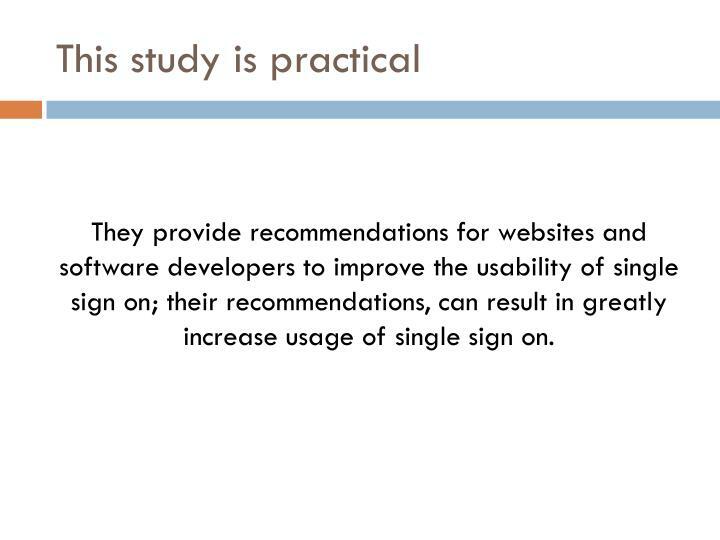 They provide recommendations for websites and software developers to improve the usability of single sign on; their recommendations, can result in greatly increase usage of single sign on. 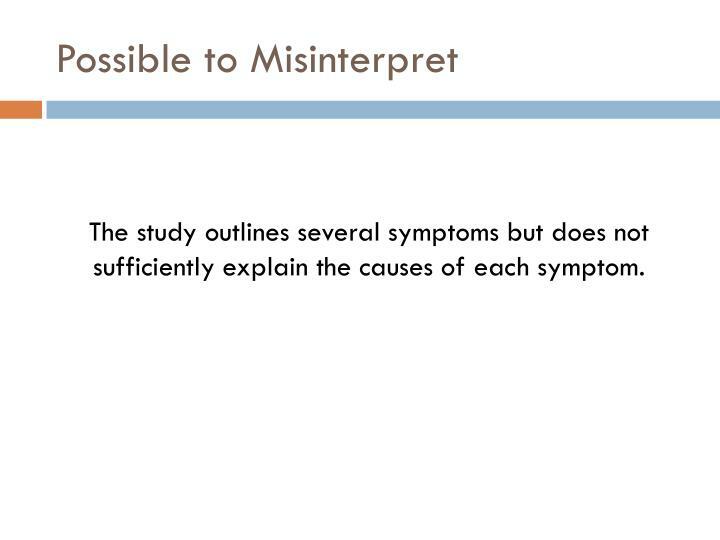 The study outlines several symptoms but does not sufficiently explain the causes of each symptom. They believe that their password is being shared with every website that they login to. 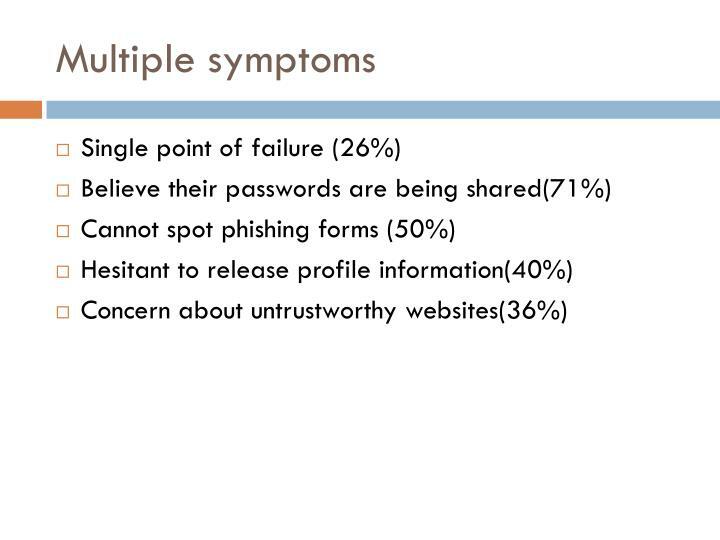 70% of users believed that their passwords were shared with every site where they used OpenID. 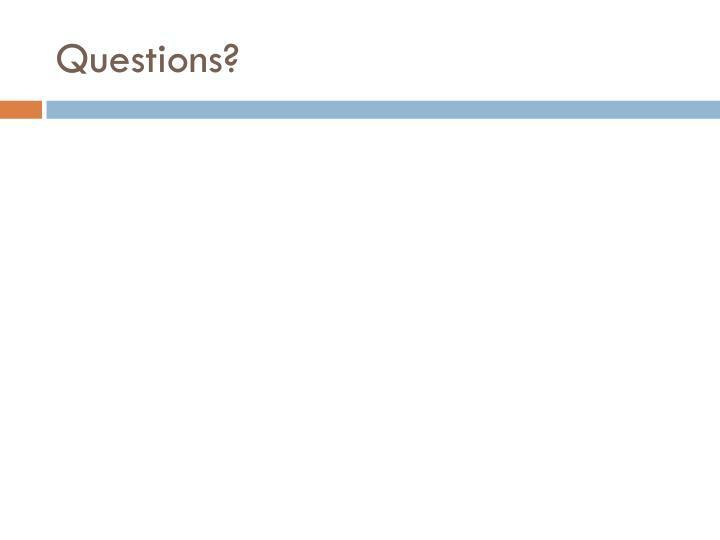 How can the login interface be improved so that users understand that their passwords are not being shared?